Instagram is hardly working to improve these features (that they present some bugs at present) in before the official release, so it’s okay if you have updated the app and you don’t see them. Note that, being features under development, they may change their appearance in the final development. We are only showing the current progress of it. 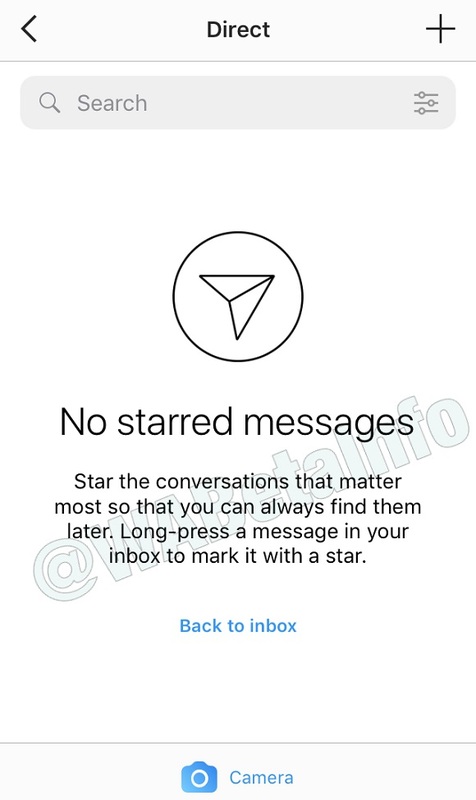 Instagram is working to let the user to star specific chats. A new button will be located on the navigation bar, that will allow to quickly star the chat. 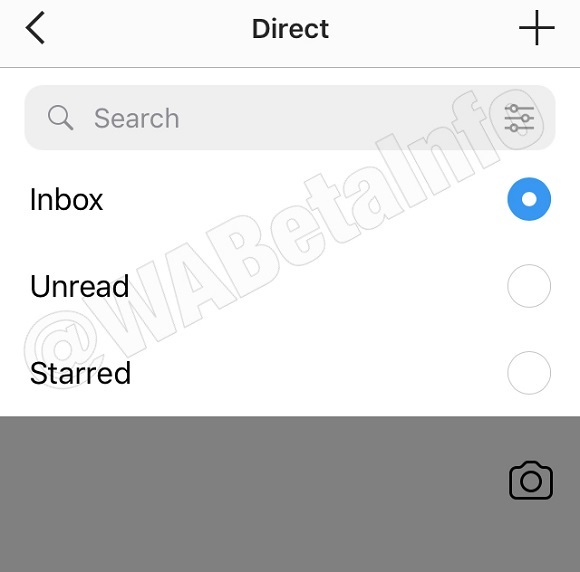 Note that, seen that in the precendent article about Instagram video calls, the video call button is located at the same place of the star icon, the option may be moved on the user info section, where you can mute the conversation. Being a feature under development, as above mentioned, the layout can change. 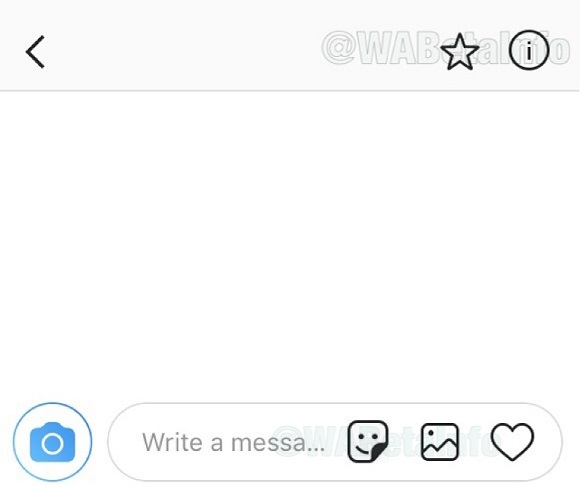 Note also that Instagram is working to support Stickers in direct messages, as shown in the screenshot. You will be able to filter your chats in order to quickly find them. Current categories are: Inbox (all messages), Unread and Starred. Reading the description, we can also understand that it will be possible to star a specific message. This feature hasn’t been implemented yet, but we expect it soon. Instagram will give you the possibility to download our data from their server, a similar feature that will be available in WhatsApp too no later than 25th May 2018 (a detailed post about WhatsApp is available here). The option to download your data will be available in your Instagram Settings. 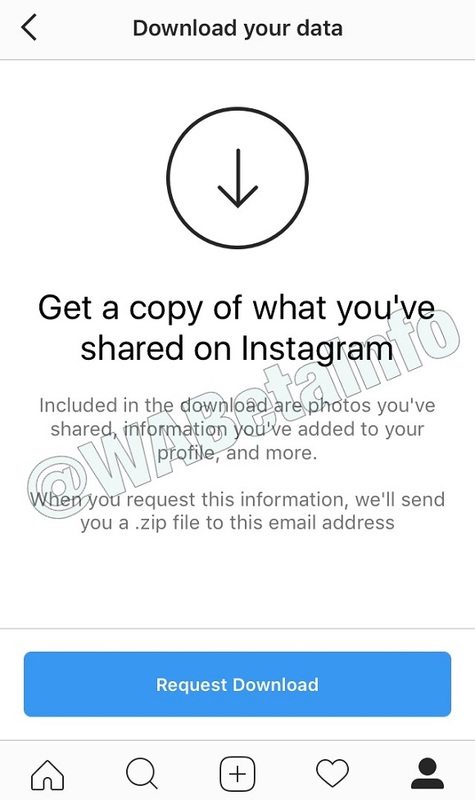 Once the process is ready, Instagram will send you a .zip archive to the mail you use to access to Instagram. Previous PostPrevious WhatsApp beta for Android 2.18.70 and 2.18.71: what’s new?